Today we recommend you cultivate the habit of checking in with NumbersUSA. The site is chock-full of valuable information in a well-catalogued style featuring eight pull-down tabs at the top of the home page, which address the myriad questions surrounding “immigration reform” —- more correctly known as amnesty. The site has a state-by-state congressional immigration report card, a bill tracker complete with updates and provides free faxing while protecting your privacy. This week there is an op-ed by Sen. Jeff Sessions (R-Ala), which appeared in The Hill. His main focus is the detrimental effects the Gang of Eight’s immigration bill, S.744, would have on the labor force by creating dramatic increases in legal immigration levels. Since we’ve been following the rash of national sites — Drudge Report and Breitbart News, among them — we add yet another to those who have noticed the widening of the chasm between Arizona’s grassroots Republicans and Sens. John McCain and Jeff Flake. The latest to take notice is BizPac Review, in this post “Arizona GOP group tells McCain knock it off, act like a Republican,” by Michael Dorstewitz. If this video does not play, refresh page. 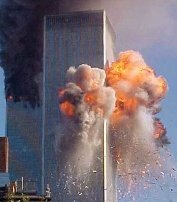 Twelve years ago today, 2,973 people were murdered by terrorists who commandeered two commercial airliners and flew them into the World Trade Center Twin Towers in New York City and a third into the Pentagon. The death toll includes 40 passengers and crew members aboard the fourth hijacked plane, United 93, which crashed in a field near Shanksville, Pennsylvania, as courageous passengers rushed the cockpit. Tuesday evening, the Republican elected Precinct Committeemen of Legislative District 26 passed a ‘Resolution To Rebuke & Condemn’ Sen. John McCain by a 24 to 13 vote. Four abstentions were recorded. “John McCain is the poster child for term limits, his back room dealings, insatiable war drum, and eroding base, call to question why this man is our Senator. It is my hope that Senators McCain and Flake work to reestablish their relationships with the boots on the ground members of Legislative District 26 Republicans,” Third Vice Chairman Matt Papke commented. WHEREAS,Senator John McCain unilaterally negotiated with the Senate Majority Leader Harry Reid to secure Republican votes necessary to pass a number of controversial Presidential nominees. Our normally dry Valley is awash, not just with a drenching downpour, but also with a flood of what the daily newspaper cunningly refers to as “migrants.” We know them as illegal aliens, and most often view them as invading the United States via Arizona’s southern border, from Mexico, South and Central America. Sunday’s edition disabuses us of such notions. An oversized front page report, continuing for two additional jump pages, details the “hundreds, maybe even thousands, of undocumented migrants from India” smuggled yearly into Arizona seeking “asylum.” On average, they pay $35,000 apiece to gain access, using dubious claims of facing danger in their homeland. The numbers of such claimants is surging. Even the open-borders newspaper reports officials are suspicious of their pitiful tales — though the steady flood of humanity continues.